After being ridiculed for months for testing positive for clenbuterol and being given what many boxing fans saw as a gift draw in the first fight with Gennady Golovkin (38-1-1, 34 KOs) in Las Vegas, Saul Canelo Alvarez (50-1-2, 34 KOs) got the last laugh in beating the Kazakhstan fighter by a 12 round majority decision in their long awaited rematch on Saturday at front of 21,965 fans at the T-Mobile Arena in Las Vegas, Nevada. The scores were 114-114, 115-113 and 115-113. Boxing 247 had Golovkin winning 8 rounds to 4, but you can make an argument that many of the rounds were close enough for it to be a draw. Canelo stocked early first few rounds. It looked good early on for Canelo, but then he fell back into his old pattern of eating jabs and getting outworked in the last nine rounds of the fight. Canelo was booed by a lot of the crowd after the decision was announced. A rematch would be nice if the WBC lets Canelo bypass WBC mandatory Jermall Charlo. Canelo would have a lot of problems beating a fighter like Charlo. It would be a pity if Canelo vacates the WBC title to avoid having to fight him. Giving it to Canelo would be a major stretch, but this was Nevada, so it’s not that surprising that he was given the win. Golovkin knew what he was up against when he and his promoter Tom Loeffler agreed to come back the same city and the same venue as last time. If GGG and Loeffler are surprised by the outcome of the fight, then they only need to look at what happened to them the last time they went to Las Vegas and found themselves getting a controversial draw. As the saying goes, ‘those who cannot remember the past are condemned to repeat it.’ That saying is fitting for this fight. 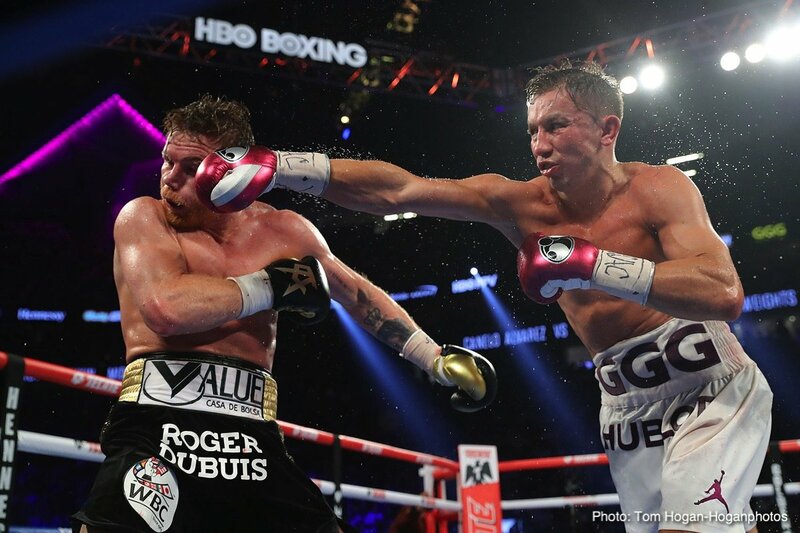 GGG knew what he was getting into in going back to Las Vegas to fight Canelo again, and now he got similar treatment –but worse – than last time. You’ve got to give Canelo’s promoters at Golden Boy credit for negotiating to get the fight back in Nevada rather than having it take place in a different state, city and venue as in the first one. Golovkin had Canelo hurt badly in the 10th and 11th round. Canelo didn’t give him credit for it afterwards, but he GGG had him hurt.